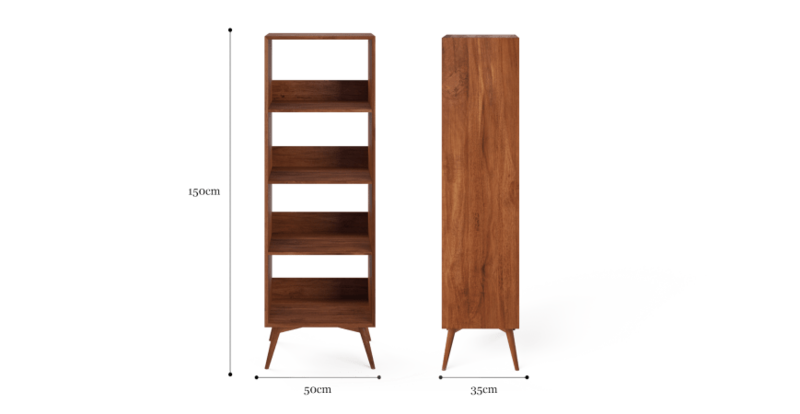 Display your book collection proudly on this solid acacia wood bookshelf. But don’t limit yourself to classics from the mid-century, it will also make your modern collection look great as well. 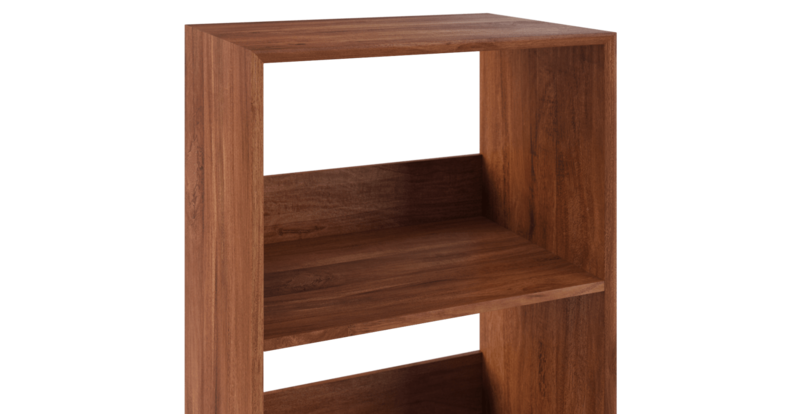 While the bookshelf’s natural Sheesham finish will tell the tale of a well-read, classy bibliophile. Its open design makes it a great place to display family photos or other treasured trinkets. 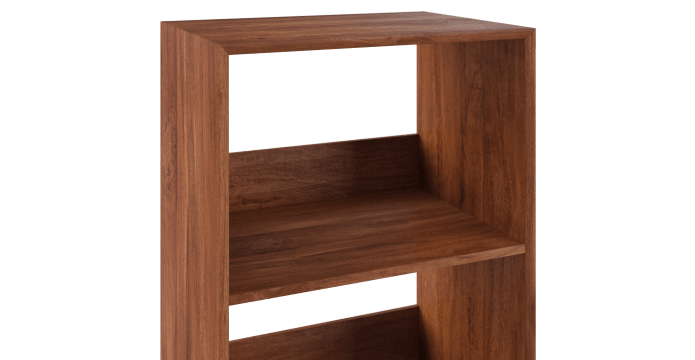 Frank Open Bookshelf is handcrafted in India by our team of craftsmen, with generations of experience and pride in their craft. Every detail is made with care. Shop for more storage solutions in your living room. 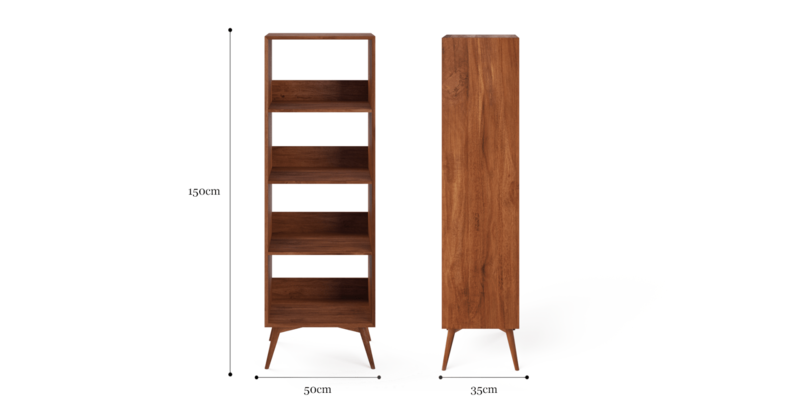 Or match the bookcase with other designs from the Frank Collection, to fit the mid-century theme. Good news! Frank Open Bookshelf is currently on display in our Alexandria Collingwood studio.